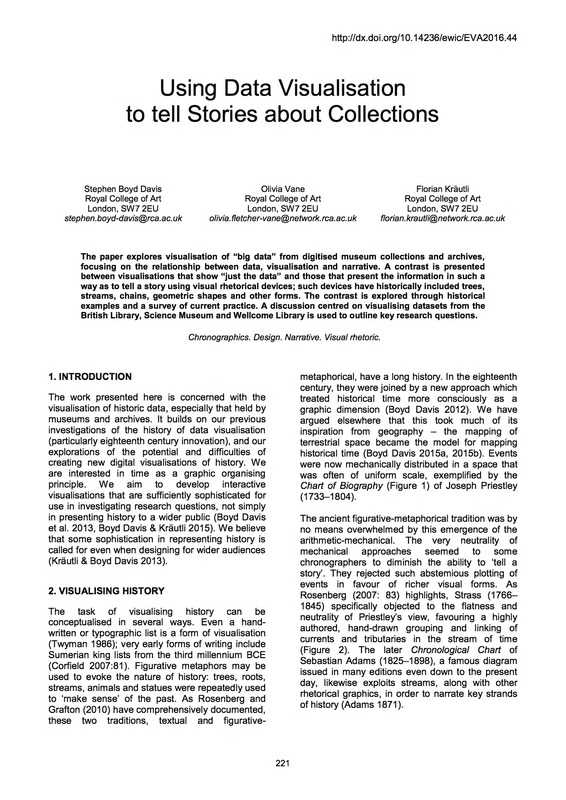 The paper explores visualisation of “big data” from digitised museum collections and archives, focusing on the relationship between data, visualisation and narrative. A contrast is presented between visualisations that show “just the data” and those that present the information in such a way as to tell a story using visual rhetorical devices; such devices have historically included trees, streams, chains, geometric shapes and other forms. The contrast is explored through historical examples and a survey of current practice. A discussion centred on visualising datasets from the British Library, Science Museum and Wellcome Library is used to outline key research questions.